Want to sample your product? Can Small Business have a Large Impact on the world? We are seeing a change in society, individuals and groups from all over the world are prioritising ethical standards and it is being reflected through the way we all shop. There is a big push forward for trending moral brands and ethical consumption and brands are catching on. Manufacturers and brands have significant opportunity now, more than ever before to benefit from valuing ethical and moral standards. Every brand has an opportunity to join a movement and create change all over the globe. From environmental conservation and sustainability, to hunger, poverty, education (and the list goes on). Every product now has the potential to support a cause, to create a change, to start a movement. One product that stands out in supporting ethical movements is That Chocolate. That Chocolate is a small business having a significant impact on social movement. 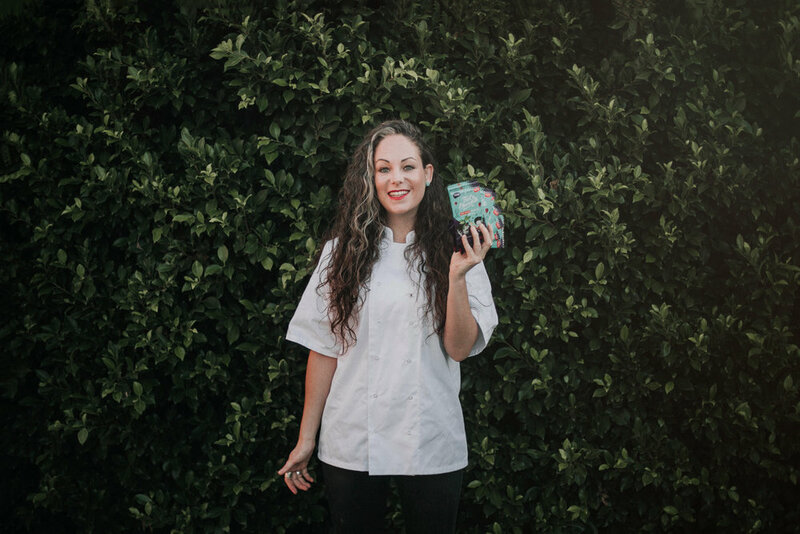 By using a universally loved food Emma Bailie, founder of That Chocolate, has created a company that is helping the fight against global poverty by giving the everyday consumer the opportunity to impact those in need around the globe — simply by enjoying delicious chocolate. One bar for you = one meal for a child living in poverty. Emma is an inspiration for other small businesses to do that same. “The more brands create a business model around making a positive impact in the world, the more business that set this example, the more others will follow suit.” Development started when consumers started seeing little businesses like That Chocolate creating change and will demand it of big business. We see it happening already, imagine social impact they will have! They also ship from their online store to anywhere in Australia. In today’s globalized capitalistic world, economies are trying to utilize as much commodities as they can, disregarding their impact on nature and the destruction they leave after themselves. From nuts and coffee, to palm oil, businesses are always on the search for new, easy and inexpensive ways to exploit resources. Many companies cause irreversible damage to the ecosystem because of their current practices. In South East Asia, for example, lands and rainforests are cleared for palm oil plantations. This has a destructive effect on wildlife, like orangutans, Sumatran tigers and Bornean Pygmy Elephants. Even though “profitable” plantations can produce palm oil for several years, the huge yield of palm oil on poor tropical soils causes rapid soil degradation, loss of groundwater, and river pollution. Organisations like the Orangutan Alliance aim to promote the reduction of non-sustainable palm oil in products and provide support for reforestation, orangutan rescue and other meaningful projects through their alliance partners. Indonesia is known for its coffee plant agriculture. It stands at fourth place for coffee production and exportation in the world, after Colombia (crop season 2016-2017). This industry is a serious threat to the country’s biodiversity and also contributes to the emission of Greenhouse Gases and therefore to climate change. The destruction of rainforests influences not only the existence of ecosystems, but also the lives of local farmers. Coffee production is also linked to bad labour practices, including underpayment and child labour. Starbucks and Conservation International’s Sustainable Coffee and Climate Change Partnership supports projects and communities living within the Northern Sumatra Biodiversity Corridor in Indonesia. They also aim to promote sustainable land-use including forest conservation, and to help create different mechanisms to enable local communities to participate in the process. In Latin America, Ecuador is another example of a biodiverse country. It has one of the world’s highest concentrations of species and species endemism along with human communities with diverse culture. It is also home to the Amazon jungle, along with Brazil, Venezuela, Suriname, Peru, Colombia, Bolivia, Guyana, and French Guiana. Having one of the highest deforestation rates in Latin America, Ecuador’s ecosystem, is at risk. According to Amazon Watch, the country has lost over 20% of its forest and woodland habitat in the past two decades. Its communities are also deeply affected by the global market, bad management of the country’s natural resources, and poor alternatives for sustainable development. In the past, 88% of timber production was harvested from native forests rather than forest plantations. The supply of timber from native forests has been increasing slowly, but gradually. The reason behind this is the greater road integration in the Amazon, which provides access to native forests, and the expansion of urban demand. Ecuador strongly relies on forest control. The government has several programmes for forest protection, including the incentive programme “Forest Partner”, part of the Forestry Advisory system from 2011, and the Outsourced National Forest Control System before that. They are responsible for monitoring timber trade flows from production areas to the main markets and the legality of timber harvesting. One of the reasons behind deforestation is their oil reserve. In a letter to the Government, Ecuadorian women declared that 'if oil exploitation is not stopped, the companies will continue to destroy our territory, the companies must leave us in peace, we want clean rivers and forests, we want the government to tell these companies of foreign countries to stay away. We don't want oil companies to enter our territory, never again'. Recently, there has been a proposal for a strategy by Conservation International, together with Ecuador’s Ministry of Environment to implement the Socio Bosque programme, which compensates Ecuador for not extracting its oil. Instead, a financial incentive would be provided to preserve the forests and improve the standard of living. It is predicted that the Ecuadorian Amazon will be completely deforested within 30 years, if deforestation continues at current rates. Another tropical region with endangered ecosystems in South America is Brazil. For years rainforests in the Amazon have been cleared so people can make a profit from agriculture and ranching. With 31 % of Brazil’s agribusiness GDP coming from livestock farming, its role in Brazil’s economy is notable. However, trading forests for cattle pasture is not sustainable and does not help the region’s rural population. In 2009, the government came up with a “cattle agreement” to protect areas and control deforestation. Research shows that the deforestation rate among ranch owners has decreased by 50% since then. Brazil is also the producers of about one-third of the global supply of soy-beans and earns more from soybean exports than from any other commodity. 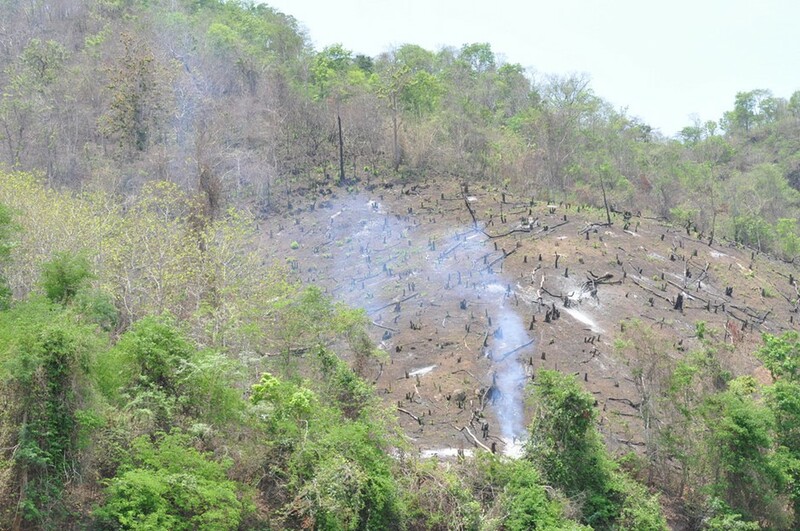 The government has adopted multiple reforms to reduce forest losses. Recently, they made a pledge to reduce greenhouse gas emissions by more than 40 percent by 2030, with most of its emission reductions to come through avoiding deforestation. Following the new regulations, forest reserves were created and indigenous reserves were expanded. New environmental laws to prevent land clearings for cattle pastures and soybean farms were also enforced. As a result, deforestation fell from nearly 30,000km² in 2004 to less than 5,000km² in 2012. Soybeans are also used to feed livestock. According to statistics, in 2017, Brazil produced 16.3 million tons of soymeal for its domestic market, and more than 90 percent of that became animal feed. Undeniably, it is important to restore the environment. The Amazon rainforests are called the lungs of the planet, because they clear up a lot of the carbon dioxide pollution in the atmosphere. Without them, climate change could be even worse. That is why Brazil’s leading climatologist, Carlos Nobre, came up with a solution to deforestation. He calls it the “Third Way”- an attempt to find an economic alternative for the Amazon based on its biological assets. For him, conservation movements are not effective- he thinks attempts to persuade businesses to use greener ways of production are pointless. Recently, there has been a shift in Brazil’s economy from soy and cattle to Brazil nut production. The Brazil nut comes from the Bertholletia excelsa tree, which grows in the Amazon rain forest and can live up to 500 years. It is important to note that most of its production comes from harvesting the pods in the wild, rather than from plantations. A pilot project called Sentinels of the Forest aims to work with local tribes to build a stronger market for the Brazil nuts. The creator - the agronomist Paulo César Nunes- buys brazil nuts from the locals and sells them to COOPAVAM- a small farmers owned nut factory. Nunes believes the work of the people needs to be valued, in order to save the Amazon. 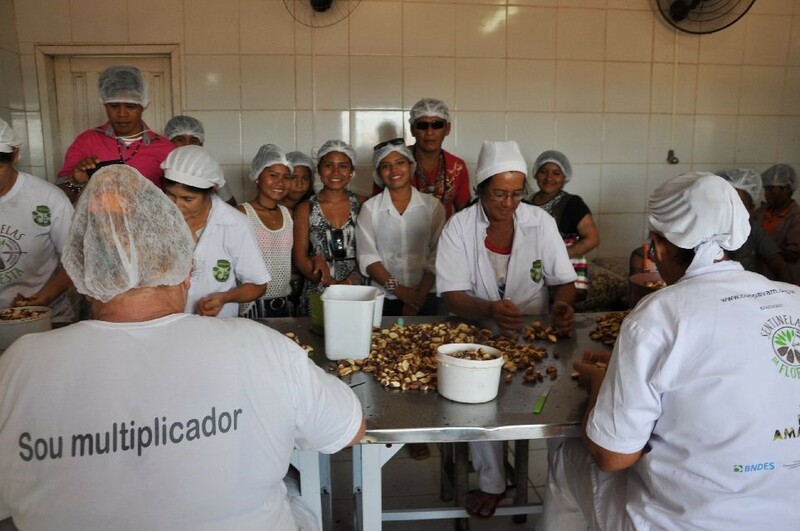 In COOPAVAM, women crack piles of nuts by hand. Machines turns the nuts into energy bars for Brazilian schools, and into oil for the eco-friendly cosmetic brand, Natura Brasil. Thanks to the Sentinels of the Forest, locals are earning up to 10 times more than before. This project is another example how businesses can help preserve the gifts of nature, while improving local people’s wellbeing. Eco-tourism can also help maintain forests. Responsible travel to natural areas that promotes environmental conservation has been gaining more popularity. Statistics show that it is growing at a pace of more than 20 percent annually. Potentially, popularising sustainable tourism in developing countries could provide economic and employment opportunities for local communities while still protecting nature. On the contrary, there is always a risk of excessive ecotourism, which could easily overload ecosystems and damage fragile natural resources. There is also a possibility that powerful players will try to dominate smaller local operators, thus negatively influencing local economies. That is why, some ecotourism programmes aim to regulate against such abuses. Helping small businesses by enforcing regulations and providing incentives and aid, can not only benefit local communities, but it can also help protect the environment. It is important that big organisations and corporations distinguish themselves from focusing only on the monetary incentives, and try to consider their impact on the planet. The responsibilities of protecting the nature lies in every each one of us, and businesses should promote and implement sustainability, so we can make progress towards equilibrium with nature. Action for the Tapanuli Orangutans! What is it like to start and run an eco conscious skincare brand? Famous Australian singer, actress and environmental and animal rights champion has launched her own range of all-natural, luxury skin care products that is cruelty free, vegan and certified palm oil free by Orangutan Alliance! Fresh from publishing his paper for the Science of Total Environment, Dr Roberto Cazzolla Gatti provides an interview with Orangutan Alliance regarding his recent paper and the commonly asked question around palm oil and sustainability. Why Should We Care ABOUT ORANGUTANS? What does it take to create a non-profit organisation that actively works in the area of environmental conservation and animal welfare? A motivated and passionate person with a vision and the will the make a difference. Here's 7 people paving the way in activism, technology and sustainability for our animals and environment. Femke den Haas is a co-founder of the Jakarta Animal Aid Network, a grassroots non-profit protecting Indonesian wildlife as well as the welfare of their domestic animals. Working in the field, Femke and her colleagues are actively rescuing and rehabilitating wildlife such as dolphins, tigers, brahminy kites and orangutans. At the same time gathering data to end illegal wildlife trade. Thousands of animals in Indonesia live sad lives. They are often chained, caged, neglected, tortured and abandoned. JAAN is a non-profit organization that strives to reduce their suffering and provide them better living conditions, because no animal deserves cruelty and no wild animal should spend its life in captivity. Ericka Ceballos founded CATCA back in 1988 to stop animal cruelty around the world. She created her own projects, at the same time supporting other international animal campaigns. While Ericka and the team at CATCA have been instrumental in the ban on import trade of seal products at the European Union, their attention is also extended to local “blood fiestas” in different small towns all over Spain, “Farra do boi” “farrinhas” (torture of bulls/calves or donkeys for days in Brazil), campaigns for animal welfare, to promote sterilization for pets and more. CATCA is also pushing to secure the seal hunt ban in Europe. "We had our last meeting at the European Commission in September 2010 and in April 2011 we had a meeting at the WTO (World Trade Centre), about the case of Canada-Norway vs the EU, for the ban on the import trade of seal products." Ceballos says. This EU ban that we helped to achieved, is slowly ending this senseless slaughter of baby seals. CATCA has been directly involved in exposing, notifying the authorities and in the rescue of some primates and other protected animal species, found out in our regular internet monitoring. When Thomas King was named Young Australian of the Year 2015, he had already spent years leading environmental, animal welfare, health and global development projects across 5 continents. Now in 2018 Thomas is founder and CEO of Food Frontier, a non-profit growing the ecosystem for sustainable, protein-rich foods in the Asia Pacific. Food Frontier works across sectors to accelerate high-impact food innovations like plant-based meat and clean meat (created from plants or grown from cells) that provide the satisfaction and experience of the meat we know and love, without the slaughter, bacterial contamination and adverse environmental impacts of conventional meat production. When Lucas Ruzo graduated with a Master’s Degree in Conservation Science and couldn’t find a job, he co-founded his own NGO — Citizen Zoo. As CEO of Citizen Zoo, he’s managing wildlife relocation, captive breeding and research projects and inspiring schools and community groups to begin actively ‘rewilding’ Britain. If you check out the Citizen Zoo blog you’ll find Lucas is a passionate food activist making the connections between what we eat and how it affects the planet. 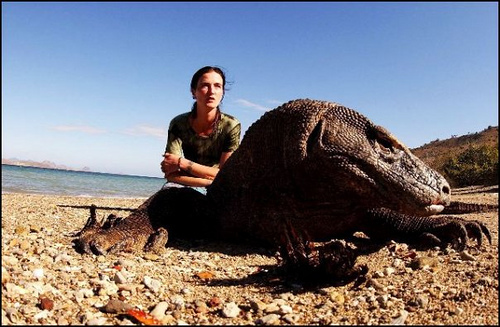 More recently he’s become part of the UNEP Climate Change and Biodiversity and Protected Areas Programmes. Sandra Kwak is the founder and CEO of 10Power, a company bringing renewable energy to global communities that lack access to electricity through project development and finance. She brings a decade of experience in the energy industry, previously working with AutoGrid to create energy-saving apps for utilities using smart meter big data, scaling the company through $14M in financing from prototype to a global brand with 2 Giga-watts under management. Sandra co-founded and served as president and COO of energy efficiency company Powerzoa and at Pacific Gas and Electric Utility implementing a program to offset emissions associated with electricity generation. While obtaining her Sustainable MBA from Presidio Graduate School, Sandra's team designed and implemented a micro-finance model for organic farmers' collectives in rural Nicaragua to get solar powered drip irrigation systems. Maria Abadilla is a food industry professional and the founder of Orangutan Alliance, a non-profit charity advocating for the reduction of conflict palm oil in consumer goods through a palm oil free certification program. She believes in giving consumers a voice when it comes to conflict palm oil. Their organisation advocate for mandatory labelling, ingredient research and work on a variety of consumer awareness campaigns. Profits from their certification go to funding conservation and forest management projects associated with this issue. The Orangutan Alliance Palm Oil Free logo is more than about eliminating conflict palm oil. It's about helping consumers become part of the solution and sending a clear message to manufacturers who use conflict palm oil - research the full length of supply chains. 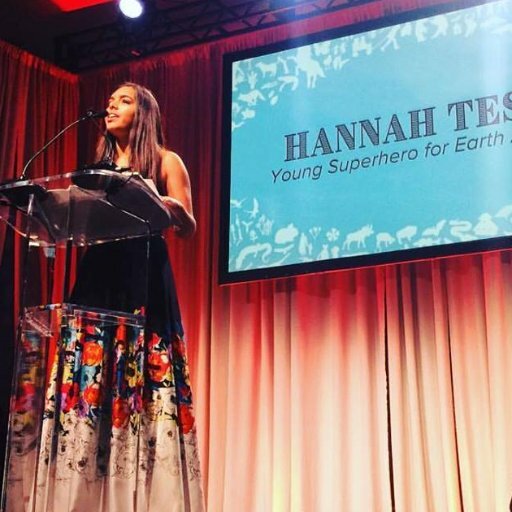 Hannah Testa is a 14-year old from Georgia who is passionate about animals and environmental issues that have an impact on wildlife. She believes that knowledge is power and that through education and awareness, she can affect positive change. 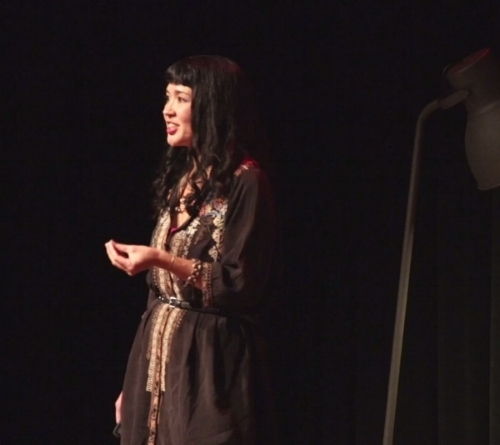 She founded Hannah4Change to fight for issues that impact the planet and all of its animals. From kindergarten she has utilized her leadership skills to teach and influence others, and has truly become a voice for those that do not have a voice, including rhinos, elephants, horses, bears, dolphins, and orcas. She has raised money and awareness for various animal causes because she feels all animals deserve a right to live peacefully on this planet. Hannah has received numerous honors and awards, including the President’s Volunteer Service Award, the Gloria Barron Prize for Young Heroes, the Prudential Spirit of Community Award, and the Pioneer of Sustainability Award by Ted’s Montana Grill. She has been named Co-President of Animal Hero Kids since 2015 as well as Ambassador for 5 Gyres Institute and Plastic Pollution Coalition. As you can see this is the generation of social media and activism. People speaking out using their voices for good. If we all take one step to protect today, even if that's choosing 1 palm oil free product over another - imagine the impact that'll have over 1 week, 1 month to 1 year. Orangutan Alliance is excited to announce an important collaboration bringing even greater awareness to the issues of conflict palm oil, by offering palm oil free products that empowers consumers to be part of the solution. Orangutan Alliance and Palm Oil Investigations are now partnering to provide a consolidated and reliable palm oil free certification and labeling program that clearly identifies consumer products that are palm oil free. This important collaboration sends a message to big brands to source their ingredients responsibly, to stop producing products that cause deforestation and threaten critical species like orangutans. 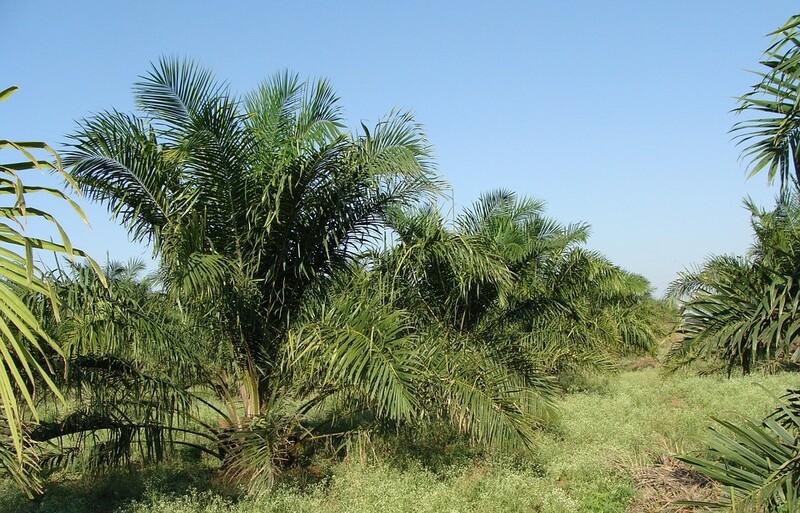 Who are Palm Oil Investigations (POI)? Since 2013 Palm Oil Investigations have been raising awareness and educating consumers about the impacts of unregulated Palm Oil production and how often it is used in every day household products. At the same time they place pressure on brands to use only fully traceable supply that is not contributing to deforestation or remove palm oil and palm derived ingredients from their products. They also believe in the importance of having one distinctive palm oil free logo to help consumers when they do their shopping. The Orangutan Alliance is a team of professional beauty, food technology and labelling experts working across Australasia, Europe and the Americas certifying consumer products as palm oil free. Orangutan Alliance recognise that consumers want to be part of the solution to unregulated and conflict palm oil, so they aim to bridge the gap between consumers (who buy palm oil free based on personal choice) and manufacturers (who are driven by consumer demand) and NGOS (who deliver grassroots conservation programs to restore forests and rescue endangered species such as Orangutans). Orangutan Alliance is a not for profit organisation so profits from their certification program will be going to fund grassroots conservation and forest projection. What does the collaboration between POI and OA mean for consumers? This new collaboration between Orangutan Alliance and Palm Oil Investigations has three clear benefits for consumers, manufacturers and the general public. (1) One clear Palm Oil Free logo. Palm Oil Investigations and Orangutan Alliance are encouraging consolidation of palm oil free labeling around the world. No more confusion. When you go shopping look for the Orangutan Alliance palm oil free logo on the product label. You’ll know that the product has been checked by food technology and beauty professionals and is palm oil free. You’ll also know that the certification of this product has contributed to reforestation and orangutan rescue projects. Two distinct organisations with one clear voice. Orangutan Alliance and Palm Oil Investigations are both committed to eliminating unregulated and conflict palm oil. Meaning palm oil that is grown and produced without regard for the law or the environment including forests, the animals or the people who live on the land. Now Palm Oil Investigations (POI) has an accurate and reliable palm oil free certification partner they are concentrating on wider and louder environmental awareness campaigns. More people will learn about the devastating impacts of unregulated and conflict palm oil. More people will learn how their choices at the supermarket can make a difference to the future of the Orangutans (and our planet earth). More big brands will be forced to pay attention to consumer demands for ethical products. What can you do to help right now? Our earth is one large community which connects us all. And if we all work together we can still save the orangutans, this is our strongest reason for hope. Us. You and me. • Get educated. Learn about the problem of unregulated and conflict palm oil. • Support Orangutan Alliance by liking our Facebook page (plus read and share our posts) and following our Instagram too. The collaboration between Palm Oil Investigations (POI) and Orangutan Alliance is a reason to celebrate. As more of us from consumers to environmental groups unite our voice, the more chance manufacturers and regulators of consumer products will listen. World Forests Day is an international day to celebrate the ‘lungs of our planet’ and to recognise the contribution that trees make to our lives. This year, International Day of Forests 2018 is being used to promote the key role that forests play in the sustainable development of cities. Did you know that over the next 30 years more than 70% of the world’s population will be living in cities? And while we do agree that making trees a fundamental part of urban expansion is essential. We at Orangutan Alliance also want to use World Forests Day as a reminder of the plight of the world’s significant forests and the rapid rate at which they are diminishing. This March 15th, Orangutan Alliance would like to recognise World Consumer Rights Day 2018. A time to bring awareness across the world to unsafe, unfair and unethical practices that affect consumers. Consumers International (for almost 60 years) has been tirelessly campaigning for consumer rights all over the world, and we at Orangutan Alliance are especially interested in consumer rights relating to the ethical conduct of producers and promoting sustainable consumption. So what are consumer rights? Apart from the fundamental right to access essentials (sufficient food, clothing, shelter, health care, education, public utilities, water and sanitation); consumer rights also include the right to be protected against products, production processes and services which are hazardous to health or life. And who polices consumer rights? In a sense we all do. Consumer Rights are outlined in the United Nations Guidelines on Consumer Protection and are recognised internationally by the governments of UN member nations. But it’s up to us to let our governments know we take those consumer rights very seriously. As a consumer interest and and product certification organisation, Orangutan Alliance is currently advocating for greater transparency in product labeling. We believe consumers have the right to know exactly which ingredients are used in the products we buy, as well as how they have been sourced. If you’ve been following our work you’ll know that we are raising awareness on the environmental costs of conflict palm oil and in the absence of transparency consider palm oil free options. In several countries, it’s almost impossible to know if palm oil has been used or even how its sourced during manufacturing. What are these funny names listed below? Oh they’re just a few of the MORE THAN 200 ways palm oil can be listed on a product label. Why not use World Consumer Rights Day to write to your local member of government and ask that palm oil be clearly labeled on consumer products and refer to your own rights to be given the facts needed to make an informed choice. Consumers International and World Consumer Rights Day also promotes sustainable consumption (which we at Orangutan Alliance also support). Sustainable consumption is all about doing more with less and being a more responsible consumer. Consumers International suggest that choosing products certified for positive social impact is a big part of being a sustainable and responsible consumer. If you aren’t already aware, Orangutan Alliance can certify consumer food, household and beauty products as 100% palm oil free. Why not use World Consumer Rights Day 2018 as your catalyst for change. Switch to ethical brands or fully traceable supply chains. Take a stand against deforestation. And a stand for the future safety of orangutans and other vulnerable species. Orangutan Alliance is all about the promotion of consumer rights, ethical trading, clear product labeling.. To find out more about our work and palm oil free certification, read our blogs or visit our website www.orangutanalliance.org. Choose with your BUY. Join us. Do you are a friend who has an online shop or food business? Are you interested on what's new food trends are forecasted for the next year? Then you should read this post. Mintel, a global market intelligence agency has recently published their consumer food and drinks futures trend for 2018. They have found similar consumer sentiments to our own research here at Orangutan Alliance HQ, regarding the rise of consumer demand around ethical and environmental labelling for products. Full disclosure on food continues to be high on the agenda as is individuality and sustainability. We have listed below some general themes from their report. Full disclosure on food labels is a growing trend that is here to stay. Internationally, consumers are looking for transparency in the supply chain not just for health and safety reasons but also for ethical and environmental reasons. Many consumers around the world lack trust in regulatory systems and manufacturers because of product recalls, scandals and suspicion. Ethical and environmental claims on packaging such as environmentally friendly, palm oil free, animal and human welfare claims has seen a rise of 22% between 2016 and 2017. Consumer skepticism has seen the need for food and drink manufacturers to be forthcoming about their ingredients, production processes and supply chains. According to Mintel, Food and drink transparency serve a single purpose – to help consumers feel more confident about the safety and purity of the food and drink they purchase. While this report was primarily done for food, we are seeing a similar trend in the beauty sector. Consumers are looking for ways to escape stress and overwhelm in their lives, and are trying to focus back on self-care and balance. They are developing their own definitions of what a healthy diet and lifestyle means and what permissible indulgence is. Manufacturers are responding with products that try and achieve health and indulgence. Products following this trend include chamomile infused drinks that mix relaxation and indulgence and super juices that provide a healthy boost. Generally consumers try to eat healthily using more natural and nutritional ingredients of fruits, vegetables, grains, and spices, but balance good food, with a healthy indulgence of occasional treats that provide relaxation and self care properties. Encounters that appeal to multiple senses can provide consumers with relief from routine and stress. This includes feast with your eyes experiences that generate like worthy social media posts. Texture and colour continue to be a big trend in 2018 as food and drink companies use the allure of ingredients like turmeric, matcha , activated charcoal, chunky yoghurt, tapioca pearls to create vibrant drinks and “share” worthy experiences. In the bid to save time and money consumers are sampling a variety of channels and technologies when shopping for food and drink. They are looking for prompt, affordable delivery, ease of automatic replenishment and simplicity of synchronisation with devices. Busy consumers are attracted to e-commerce sites, apps and a variety of online and mobile options. Technology is helping with effortless shopping, convenience and personalised recommendations. Retailer apps will grow and continue to assist with curated content to personalise selections based on on previous purchases or search preferences. Some forward looking companies are developing solutions to replace traditional farms and factories with scientifically engineered ingredients such as laboratory grown meat, plant based burgers and animal free dairy. These new solutions aim to potentially alleviate some of the pressure that our global food supply is under. While currently this trend is growing in more environmentally focussed consumers, researchers believe it will also appeal to consumers who are concerned about ingredient purity. Food Labelling and Palm Oil: What's the issue? In the light of labeling choice concerns, 70% of consumers believed a no palm oil claim and a sustainability claim would impact their purchase decision with 45% willing to pay up to 10% more for a suitable product. 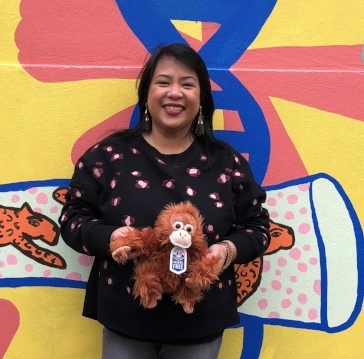 “Consumers are becoming more informed, socially aware and are starting to purchase based on values.” said Maria Abadilla from the Orangutan Alliance. Orangutan Alliance certified Australian brand Nuttvia from the makers of Natvia Sweetener is proving to be a success story, responding to both sugar and non-sustainable palm oil concerns with a product solution. 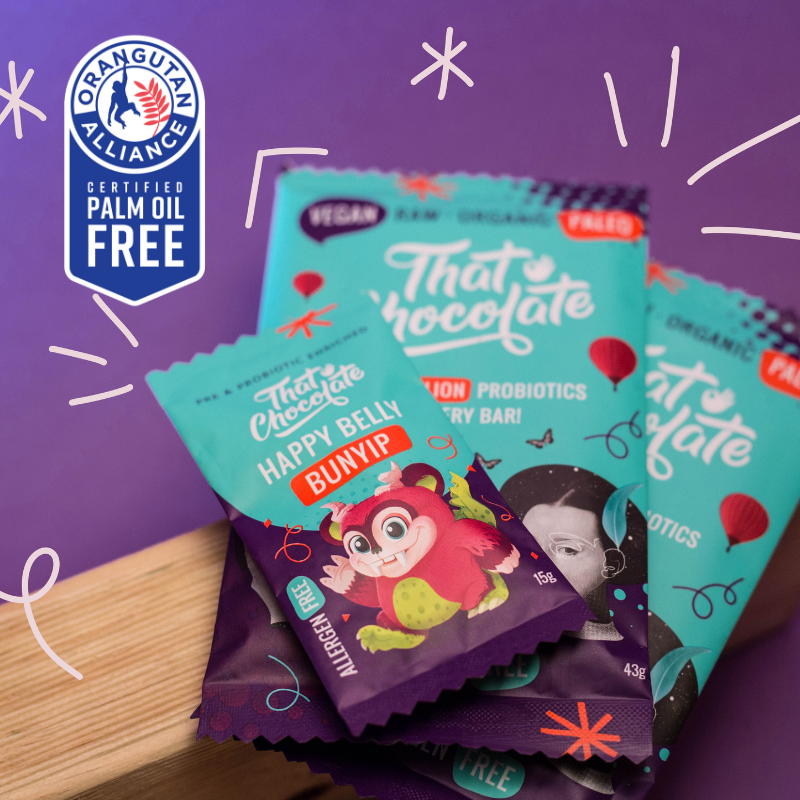 The Orangutan Alliance mission is to promote products created with care that do not contain non-sustainable palm oil in its production through its Certification Program. Profits from this program go toward supporting grass roots projects including reforestation, conservation in areas affected by non-sustainable palm oil. The Orangutan Alliance supports clear labeling of palm oil in all products to provide consumers purchase choice. Earlier this year, Woolworths released their Corporate Social Responsibility plan. This sets out the goals that Woolworths has committed to achieving by 2020, and includes a goal to eliminate deforestation associated with ‘high-impact’ commodities like palm oil.